Don’t dally. Wherever you are on the field, think and act quickly, or you’ll be punished. That’s one lesson pounded into most soccer players’ heads from a young age. 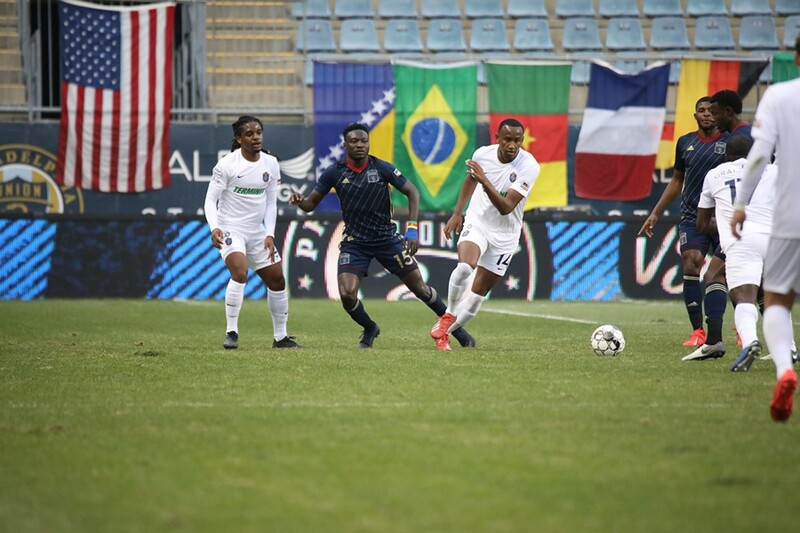 Unfortunately for Bethlehem Steel defender Ben Ofeimu, he became a bit too lackadaisical with a headed back-pass and, like a coiled viper, 901 FC forward Rashawn Dally was there to strike. Just like that, Memphis' 901 FC sealed its first victory in franchise history. Due to FIFA’s international break, several prominent starters were missing from both teams’ lineups. That meant no Adam Najem pulling the strings from an attacking midfield role, while inaugural goal-scorer Elliot Collier was also out of the lineup. 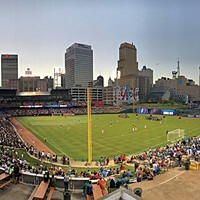 Due to absentee players, and this being 901 FC’s first away game, I wouldn’t have earmarked it as the franchise’s first win. However, I’m very happy to have been proven wrong, and a solid performance from the team should ease any concerns. For the first 25 minutes, Memphis played a defensive game and let the Steel press forward. Despite ceding possession, the strategy neutralized most of the home team’s attacking threat. The biggest danger from Bethlehem came from its fleet-footed attackers, who troubled the left side of the defense a few times but were stopped from creating any real chances. 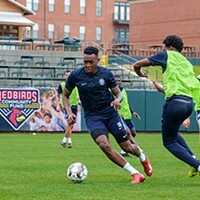 901 FC coach Tim Mulqueen deployed Abdi Mohamed at left back to contain the speedsters, while centerbacks Marc Burch and Todd Pratzner worked in tandem to play an effective offside trap whenever Bethlehem threatened to get in behind the defense. With the opposing attackers kept at bay, Bethlehem tried to play long balls, but Burch and Pratzner comfortably dealt with anything thrown their way. The only two decent shots from Bethlehem had were two fabulous strikes from distance which hit the post. After the opening exchanges, Memphis grew into the game and added more verve to its attacking play, with Duane Muckette controlling the ball well in midfield and acting as a conduit between defense and attack. He set up Dan Metzger for 901 FC’s first shot of the night, and continued to present himself as a passing outlet throughout the game. In the second half, the Steel pressed Memphis more and held a good chunk of early possession, but were again effectively stifled. Then, in the 58th minute, Ofeimu made that fatal mistake, and Dally pounced to score his first professional goal. Up until that point, the forward had been largely isolated from play, but sometimes that’s the life of a striker. When it really counted, he successfully read the play and slotted the ball past onrushing Steel goalkeeper Matt Freese. The game opened up a bit after that, but even as the Steel became more desperate as the clock ticked toward 90 minutes, Memphis was never seriously troubled. Mulqueen managed the game effectively in the final 15 minutes. Whenever Memphis took the ball beyond half field, they drifted to the corner flag or drew fouls near the opposing box, taking precious seconds off the clock that the Steel needed to get back in the game. As the home team’s attacking play became more frantic, they finally created an opening in the 95th minute. Memphis goalkeeper Jeff Caldwell, who it must be said had another overall fantastic performance, spilled a cross in the box, leaving an open net for Bethlehem. However, just when it seemed like an equalizer was on hand, Wes Charpie blocked the goal-bound effort, preserving the victory for Memphis. That should give the team plenty of confidence for their next away match on Friday against New York Red Bulls II. * Memphis really couldn’t have hoped for a better result from the team’s first road game. A goal, a clean sheet, and three points that places the franchise among the top 10 teams in the Eastern conference. * Memphis’ attacking fluidity still looks a bit rusty at times. The team looks to build up from the back and play quality soccer, but after working the ball into good positions, the final pass isn’t quite up to standard. This should improve with time. It’s only the third game, after all, and key players were missing. * There seems to be a bit of hesitation on counter-attacks. When Memphis moved the ball to one of their wide players, there was a tendency to turn back for a pass immediately as opposed to running into space. While it helps with ball retention, a better read on those types of situations may lead to more goal scoring chances on the break. *Jeff Caldwell is a revelation between the sticks, and he got his first professional clean sheet on Sunday. No surprise that a team run by Tim Mulqueen and Tim Howard found a fantastic ‘keeper. *Referee Luis Arroyo did not have the best game, making a fair number of questionable decisions against both sides that had head coaches Mulqueen and Brendan Burke remonstrating with the fourth official. Overcoming poor decisions is part of the game, though, and Memphis did just that with the result. *Everyone on this team is ready to fight for the result. In the 92nd minute, Dan Metzger read an errant touch, intercepted the ball, raced upfield, and tormented his defender before drawing a foul outside the box. It’s that type of lung-bursting effort on tired legs late in the game that can make all the difference. It also indicates that the players are fully behind Mulqueen’s philosophy. * When watching the ESPN+ stream, you might have noticed a completely barren half of the stadium. There were some fans situated behind the dugouts, but the turnout for Bethlehem was, frankly, pathetic. Kudos to Memphis for embracing its team and turning out in droves for home games at AutoZone Park.